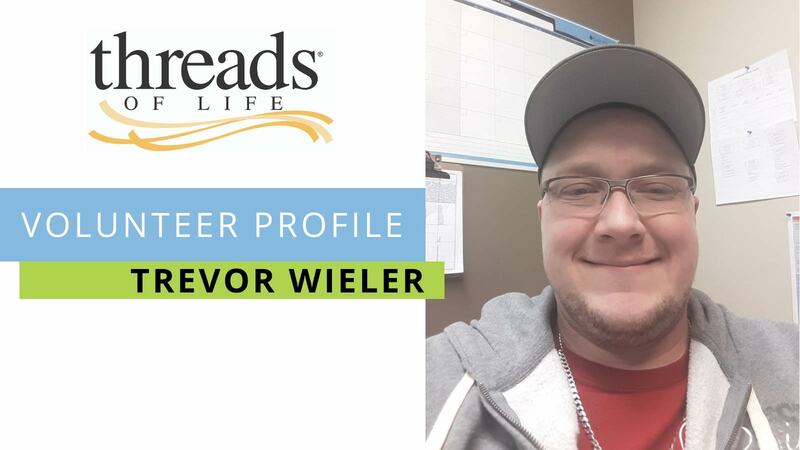 “Seeing the families gathered together; knowing that we’ve made the impact on a personal side for those families, and that we’re making a difference” is the best part of being a volunteer for Threads of Life,” Trevor says. 2019 will be the fourth Steps for Life walk for Trevor. He first learned of the event when the Calgary Regional Safety Committee of the Alberta Construction Safety Association sent out a call for volunteers. As a safety advisor in the utility infrastructure industry, the health and safety commitment at the heart of Steps for Life appeals to Trevor. He thinks the nature of the resource-based economy in the Calgary area, with its range of high-risk hazards, means that the cause resonates with many other people too. He has seen Calgary’s walk grow into one of the top Steps for Life events in the country (the number one fundraiser in 2018!). The committee puts a focus on education, taking the time to make sure people understand what the walk is all about, he adds. That way, even businesses that can’t make a monetary donation help by giving supplies or services, and know they’re contributing to making things better for families affected by tragedy.